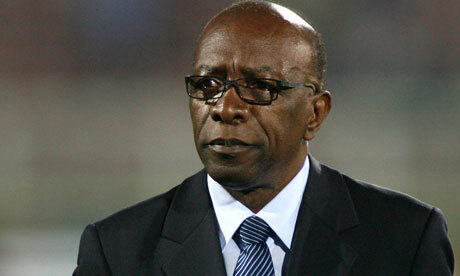 FIFA Vice-President Jack Warner, whom allegations of corruption were made, has resigned from his post at football’s world governing body. Any chance that this move could be seen as a positive development within the upper echelons of the game have been completely overridden by the words expressed by FIFA itself in the aftermath of his resignation. An official FIFA statement issued just moments after his resignation became public made clear that “as a consequence of Mr Warner’s resignation, all ethics committee procedures against him have been closed and the presumption of innocence is maintained”. Those last six words have already done more than anything to undermine FIFA President Sepp Blatter’s promise to make football more transparent and accountable and will be seen by many to be a cop out solution which shames FIFA further. Thanks to this resignation there will seemingly be no further investigation into allegations that Warner paid bribes to various Caribbean football associations and asked for favours from candidate countries hoping to host the 2018 and 2022 FIFA World Cup tournaments. The fact that these allegations can now just suddenly disappear and be swept under the carpet is yet another sign of this organisation’s arrogance and contempt for the very people for whom, it was said, they would do all they could to restore the credibility of the game – the fans. Nobody wishes to presume that anybody is guilty before proven otherwise but the big question remains; why it is still not possible to retrospectively look at all of the evidence in relation to all of the allegations and make all of the facts known to the public? Or, in other words, what have FIFA and all of the parties involved got to hide if they are to live up to this mantra of transparency and openness? The mind well and truly boggles……….. The ongoing story regarding allegations of corruption at the very heart of world football’s governing body FIFA seems to have taken the game to an all-time low. Surely the only way for these allegations to be addressed is for an independent body to look at the crux of the matter and investigate every figure who is alleged to have been involved. With more questions than answers in a case which won’t go away the last thing that FIFA and its president Sepp Blatter should do is to bury their heads in the sand. 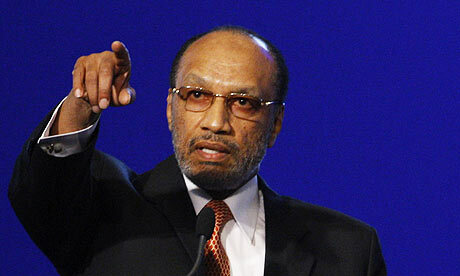 Then on Sunday afternoon came the news that both Bin Hammam and Jack Warner, the Vice-President of FIFA who is also at the centre of the allegation claims made by CONCACAF general secretary Chuck Blazer, have been suspended by the FIFA’s ethics committee who, despite protestations from Bin Hammam and Warner, also stated that “no investigation against Blatter is warranted”. Despite this it is arguably the case that the presidential election, which is to take place this coming Wednesday at FIFA’s 61st Annual Congress in Zurich, ought to be postponed in order to allow further examination of all claims made against each and every figure who has had allegations made against them. Even if it was to be concluded that very little, or indeed no, corruption ever took place the perception of FIFA amongst football fans around the world is the lowest that its ever been with high profile bureaucrats often accused of selling the game’s soul in exchange for huge financial incentives. A shake-up of FIFA from top to bottom and a review of its leadership structure is the very minimum that the organisation needs in order to restore public confidence at the game’s top body.